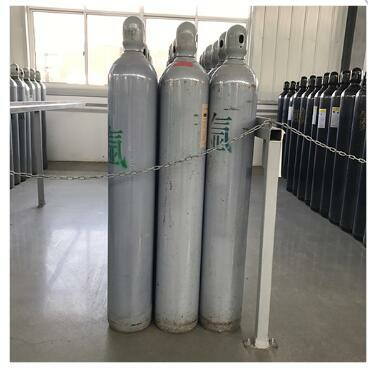 At present, there are three types of argon on the market: Argon (about 99.6% pure), Argon (about 99.9% pure), High-purity Argon (99.99% pure), the first two types of weldable carbon steel and stainless steel, and welded aluminum and aluminum. Non-ferrous metals such as alloys, titanium, and titanium alloys must be made of high-purity argon; the welds and heat-affected zones are prevented from being oxidized and cannot be welded. Argon is a colorless, odorless inert gas. At high concentrations, people can suffocate. Argon is an atmospheric gas, generally obtained by separating air. Purified to achieve the desired commercial purity grade. Argon is the most common rare gas in the earth's atmosphere. 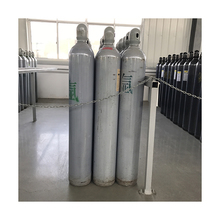 It can be obtained from the oxygen produced by air separation, mainly in the inert gas used as a stand-alone or special gas mixture. Argon can also be recovered from the exhaust gas of certain ammonia plants. 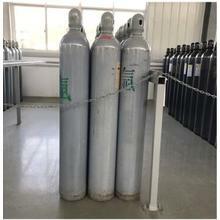 Argon gas has a wide range of applications in many industries. The most common one is as shield gas in arc welding - either pure argon or as part of a gas mixture. Argon gas is also one of the main filling gases for incandescent lamps (filaments), phosphor tubes, and thyristor tubes. Argon can also be used as a carrier gas for chromatography, sputtering, plasma etching and ion implantation. It provides an argon-enclosed environment for crystal growth, viticulture, and pharmaceutical packaging. Argon gas and fluorine and helium can be mixed in an excimer laser. As an insulating gas, argon is also a popular way to increase the thermal insulation effectiveness of energy-saving windows. Argon can also be used as a protective gas in iron, steel and heat treatment industries - especially when the metal that is sensitive to nitriding is treated in a nitrogen-based atmosphere. Other smaller applications include freezing, refrigeration, decarbonization of stainless steel, airbag inflation, fire suppression, spectrometry, and cleaning or balancing of spectrometers in the laboratory.